The project is a proposal by Italian architect Tommaso Casucci for the new library of the school of architecture, located at the limit of the old town of Florence. It is part of a renovation plan of a large area used until recent times as convent and later penitentiary. Pre-existing spaces are converted in archive, the new addition provide study areas, meeting spaces, auditorium, exhibition spaces in a continuous varying experience. 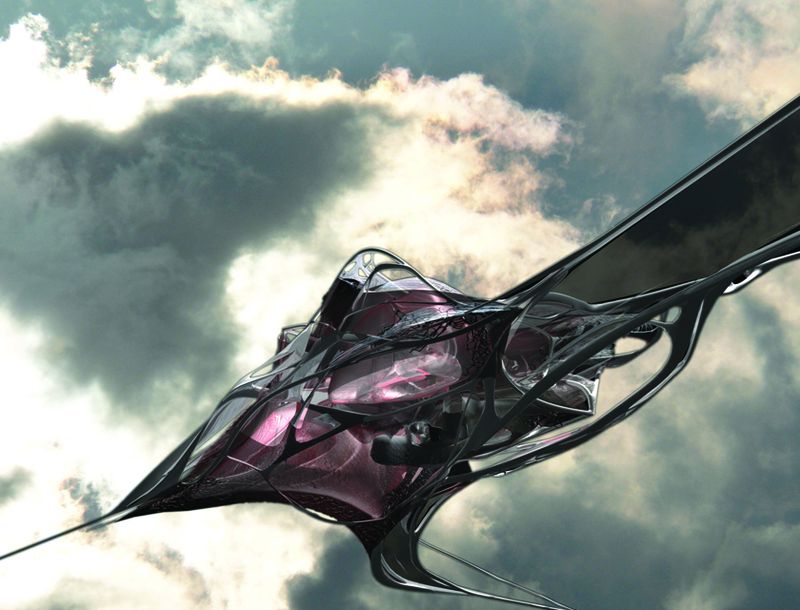 The project explore the emergent qualities derived from surfaces modulation in an intensive fields, aiming to equilibrium states of program, structure and function trough morphodynamical processes. Form, structure, function and decoration are emergent qualities of the same coherent system strictly related to his environment. 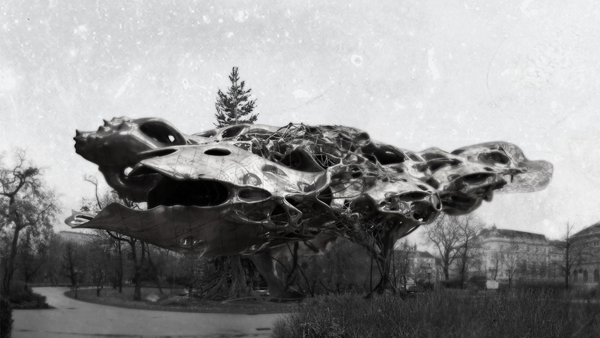 Isaie Bloch experimented with form production at the Excessive studio II, Urban strategies, Die Angewandte Wien in Austria to produce a music pavilion that embraces monstrosity as a design tool. How boring has perfection become? Evidence of this lies in the fact that our contemporary design obsessions are based on an appreciation for the perversity of mutant form, a taste learned from the movies and set to work on architecture. By subverting the logic of perfection and beauty, non-perfect images coming from controlled methodologies are generated. What used to be about mastering the result of a non-perfect process is now about the production of monstrosity and the grotesque throughout accurate mechanisms. The House of the Future designed by Kuangyi Tao from Texas A&M University, College of Architecture is a project reacting to the problems emerging during modern times: overpopulation, resource shortage and virtual world development. Nigeria is already Africa’s most populous country, but the city of Calabar has been increasing the masses by attracting visitors from around the world with recent conferences and events. A conference center designed to impress is just what Calabar needs to keep this momentum going, city officials decided; thus, they hosted a design competition for the Calabar International Convention Center. The winner is Henning Larsen Architects, a firm based in Copenhagen, who designed a four-part, modernist mass that will be sited on top of a hill and feature stunning views of a nearby river delta. 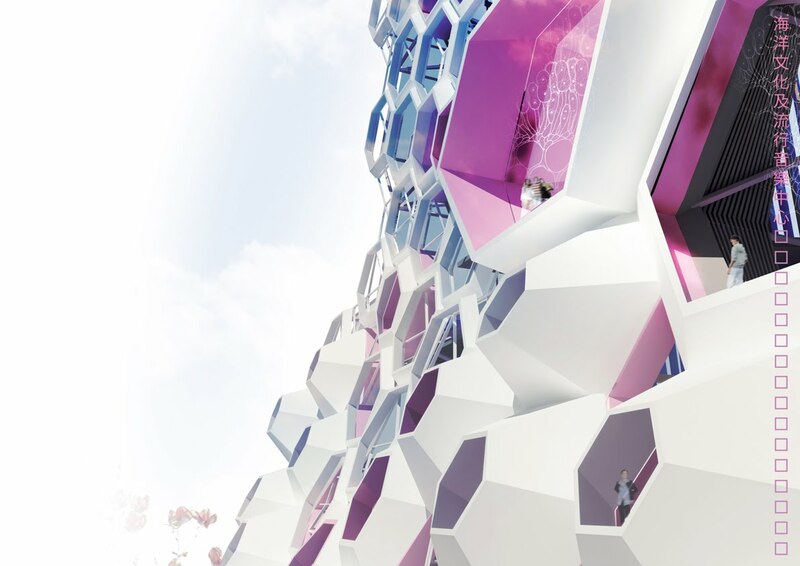 In addition to providing space for conferences, the geometrical building will serve as a cultural hub for the city’s residents, hosting events such as concerts and film festivals. The design for a new central library in downtown Halifax, Nova Scotia was recently revealed by architects Fowler Bauld & Mitchell and schmidt hammer lassen architects after many months of working with the community. The firms’ modern design was based largely on the needs expressed by community members in charettes and workshops. These ideas included recommendations for how light enters the building, allotments for green gathering spaces, and how seating and working spaces should be arranged. The Halifax Central Library will be prominently located downtown, surrounded by historic neighborhoods, the Dalhousie School of Architecture and Spring Garden Road, the busiest commercial street east of Montreal. Its design speaks to its surroundings, with the modern, geometric massing standing in conversation with the Dalhousie campus’ classic forms. Prechteck’s design for the extension of the National Library of Austria located at the Hofburg in Vienna contains a number of cultural facilities including a 1200sqm underground core exhibition hall, a smaller 600sqm multifunctional hall, creative studios, a restaurant, and shops. 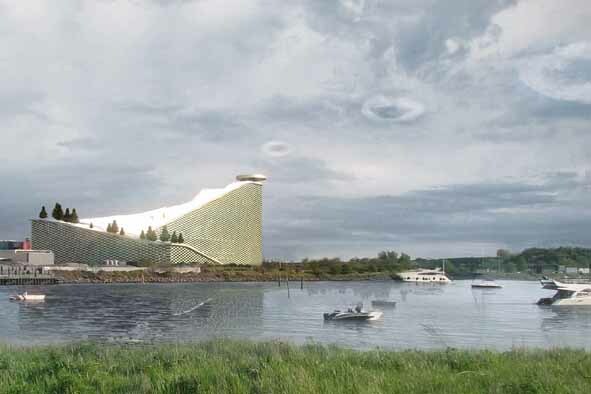 BIG is selected to design the new Waste-to-Energy Plant that doubles as a ski slope for Copenhagen’s citizens and its many visitors by 2016. LOOP City is an urban plan for future growth in and around Copenhagen, Denmark created by the Danish capital’s own BIG (Bjarke Ingels Group). The focus of the plan is largely on reimagining the residential and industrial areas to the west of central Copenhagen that were developed in accordance with the Finger Plan, a post-WWII urban plan headed by Steen Eiler Rasmussen. The Finger Plan laid out “fingers” of urbanization that reach west out from central Copenhagen as well as green spaces to occupy the spaces between the fingers, all in line with answering what they saw as the 10 essential issues facing the city in the future. However well conceived, under the pressures of post war industrialization, the Finger Plan has led to extensive urban sprawl and transportation issues. LOOP City seeks to reimagine Greater Copenhagen by centralizing urbanization around a light rail system that would ultimately be a part of a larger transportation/development loop that would extend around the entirety of the Oresund Region. 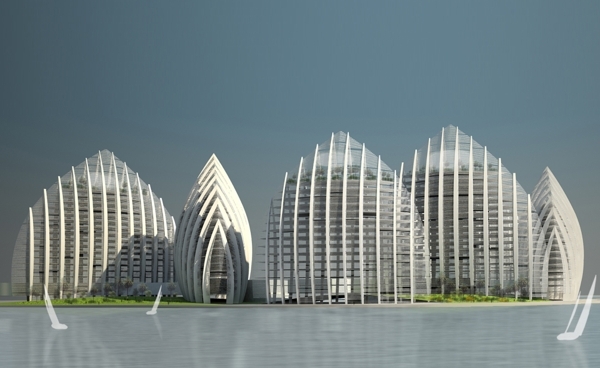 The Putrajaya Waterfront development, south of Kuala Lumpur, is home to a large planned residential tower complex in Precinct 4. As part of large centrally planned commercial and government district the towers Studio Nicoletti Associati conceived the design to stand as counterpoint to the tall traditional towers nearby. The overall form is both reminiscent of a sailboat’s profile and a nod to Islamic design sensibilities by terminating with a contemporary ogive arch. Starting with an rounded exoskeleton the towers vary in height and orientation to create an open, pedestrian friendly landscape. Each tower ranging from 18 to 20 stories is topped out with a large terrace spa and green space partially shaded by the support structure that terminates a few stories above. The project totals 278,000 square feet of floor area. 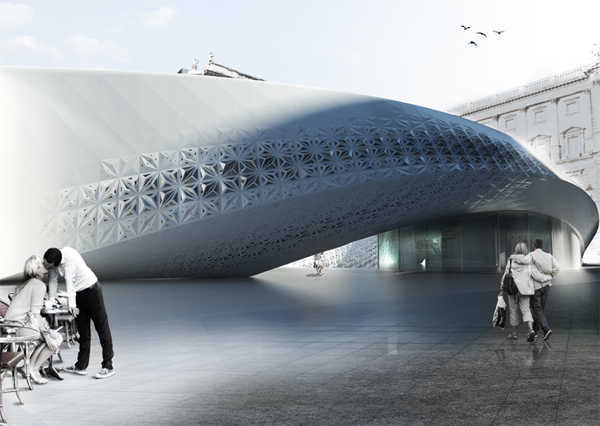 The Spanish architecture firm MADE IN unveiled their winning design for the Maritime Cultural and Popular Music Center in Kaohsiung, Taiwan. The project will start construction in a few months and will be one of the most important developments ever built by a Spanish firm outside of Spain with a surface of more than 100,000 square meters and a budget of 100 million Euros. The project will accommodate two auditoriums, one exterior for 12,000 people that will enjoy the bay views and an interior for 3,500 seats. In addition, the complex will have a maritime museum, a music museum, markets and other cultural facilities. 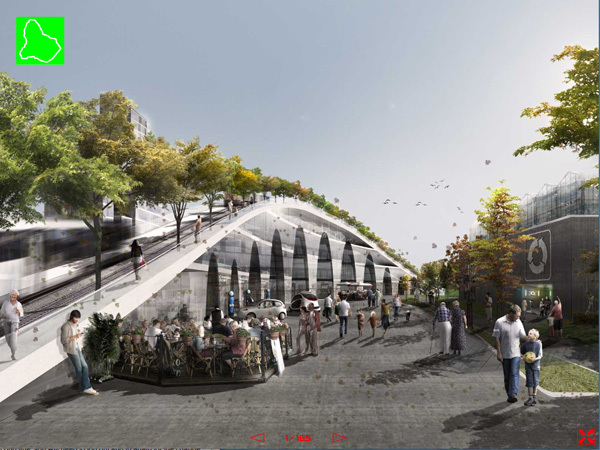 The project proposes a series of buildings and public spaces that will articulate and animate the Love River Bay which is one of the most important parts of the city.